The Green Zionist Alliance offers a place for all people — regardless of political or religious affiliation — who care about humanity's responsibility to preserve the Earth and the special responsibility of the Jewish people to preserve the ecology of Israel. The GZA works to educate and mobilize people around the world for Israel’s environment; to protect Israel's environment and support its environmental movement; to improve environmental practices within the World Zionist Organization and its constituent agencies; and to inspire people to work for positive change. By focusing on the environment while working from a pluralistic and multicultural base, the Green Zionist Alliance seeks to bridge the differences between and within religions and people — helping to build a peaceful and sustainable future for Israel and the Middle East. Canfei Nesharim ("The Wings of Eagles") teaches about the importance of protecting the environment from the perspective of Jewish Orthodox law. 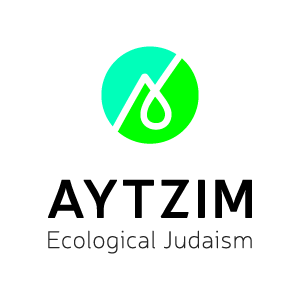 The organization's goal is to help Orthodox Jews and the entire Jewish community understand the Jewish laws that are relevant to the environment, and to empower the Jewish community to take actions that will make a difference in addressing climate change and other environmental challenges. The Coalition on the Environment and Jewish Life (COEJL) deepens the Jewish community’s commitment to the stewardship of creation and mobilizes the resources of Jewish life and learning to protect the Earth and all its inhabitants. To advance its mission, COEJL works with a variety of Jewish and multi-denominational organizations for education, environmental advocacy and incorporation of environmental practices into Jewish and American life. Support of the Jewish environmental movement in North America and Israel. Jewcology is a Facebook for Jewish environmentalists and organizations. The social-networking site also features blogs and resources for the entire Jewish community. Jewcology's goal is to build a multi-denominational, multi-generational, regionally diverse community of Jewish environmental activists who learn from one another how to educate their communities about our Jewish responsibility to protect the environment. Jewish Farm School's mission is to practice and promote sustainable agriculture and to support food systems rooted in justice and Jewish traditions. Jewish Farm School runs alternative spring break programs as well as the farm at Eden Village Camp in Putnam Valley, N.Y. The American branch of KKL-JNF is an independent organization with its own environmental and development projects in Israel, including forestry, water capture and treatment, and community-infrastructure construction. The Arava Institute for Environmental Studies (AIES) is a regional center for environmental leadership. By encouraging environmental cooperation between Israeli, Palestinian, Jordanian and internati onal students, the Arava Institute works toward peace and sustainable development on a regional and global scale. AIES is located on Kibbutz Ketura in Israel's Arava Valley. The Institute is home to research, study-abroad programs and a joint Ben-Gurion University master's degree in desert studies with a concentration in environmental studies. Friends of the Earth Middle East (FoEME) is a unique organization that brings together Jordanian, Palestinian and Israeli environmentalists. Their primary objective is the promotion of cooperative efforts to protect our shared environmental heritage. In so doing, they advance both sustainable regional development and the creation of necessary conditions for lasting peace. FoEME has offices in Amman, Bethlehem and Tel Aviv. The Heschel Center for Environmental Learning and Leadership was established in 1998 to provide a meeting place where people can develop and implement an alternative environmental, social and cultural vision for the future of Israel. At the core of this vision is the term sustainability, which promotes development based on social justice and environmental health for the benefit of all members of society and future generations. Founded in 1990, IUED pioneered the use of legal advocacy as a means of safeguarding Israel's environment, introducing to the country the concept of citizen-based challenges to government-imposed development policies and corporate practices that adversely impact natural resources, public health and quality of life. IUED pursues a vigorous agenda of strategically focused projects in four key areas: air-pollution prevention, drinking-water safety, solid-waste management, and accessible open spaces. Green Course, the national student environmental organization in Israel, has more than 6,000 volunteer students in 24 chapters at universities and colleges across Israel. The largest environmental volunteer organization in the country, Green Course focuses on national and local campaigns, greening university campuses, and promoting environmental education. Their volunteers are today’s students and tomorrow’s environmental leaders. SPNI leads the public and decision-makers in the search for environmentally sustainable and economically sound ways to promote growth while protecting Israel's unique environmental heritage. Through education, organizing public involvement, informing decision-makers and proposing creative solutions to development plans, SPNI has established an impressive list of achievements. "One generation goes and another generation comes, but the Earth remains forever." Israel's main water sources are the Mountain Aquifer, the Coastal Aquifer, the Kinneret and desalination.